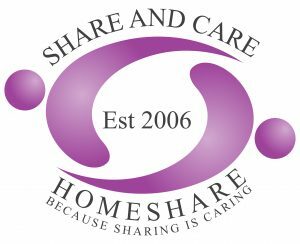 An older couple in Leatherhead Surrey are seeking a Sharer for their home to give them some friendly company and around 10 hours a week of practical help in exchange for the low cost accommodation. The accommodation on offer is a small double bedroom with wardrobe and chest of drawers’ storage in a house with parking and a garden. There is a shared bathroom and the kitchen has a washing machine and microwave. This couple would appreciate some practical help, which could include light cleaning and tidying, some shopping, cooking, taking out bins and changing lightbulbs, for example – and the companionship of having someone living with them and sharing the occasional evening meal. They like music and watch crime dramas, comedy and quiz shows. Both smoke in the house so this is a smoking home. The ideal sharer would be a female smoker who speaks clear fluent English; a driver with a car would be an advantage. Please note NO ANIMALS allowed. If you are interested, please email a little information about yourself, your hours of availability, if you can commit for at least a year, and why you are interested and think you may be suited to this share. We can then give you more details about this specific situation.